Gyantse Jiarijiao Old Street– Gyantse county locates at Shigatse city, Tibet Autonomous Region. Between the 14th and 15th century, Gyantse became the center of a fiefdom with strong connection to the Sakyapa order. 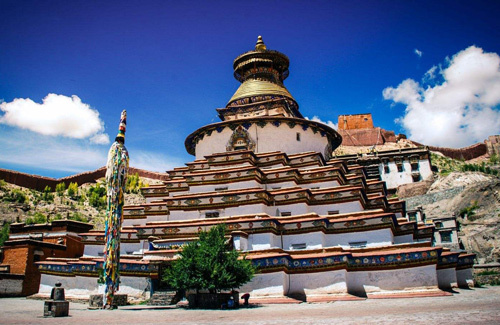 By the year of 1440, the most amazing building of Gyantse-Kumbum Stupa and Dzong was completed. The famous Pelkor Choede Monastery also dated from this period. Even though the town continued to be a major trade center of wood and wool between India and Tibet, it’s historical importance had declined from the end of 15th century. In 1904, Gyantse became a major battle field during Younghusband’s expedition to Tibet. Later the battle is known as the Battle of Gyantse. Moreover, the city was once considered as the third largest city in Tibet, ranked after Lhasa and Shigatse. However, in recent decades, it had eclipsed both in size and importance. Anyhow, Gyantse is also a beautiful place and worth to visit! Gyantse Jiarijiao Old Street locates at an elevation of 4020 meters above sea level, near the Gyantse Dzong. 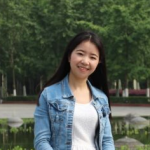 It is a famous historical and cultural old street in China and has a history of over 600 years. Looking from upper place of the street, a row of Tibetan-style buildings came to the sight. Regardless of the size of each building, their layout seems naturally and casually, even the shape looks soft and beautiful. This kind architecture form of ‘front shop, back house’, ‘upper house, down shop’ combines the function of residential, business and leisure. The heavy yard and deep roadway forms a quiet and comfortable feeling for this old street. As a trade center, the shops, stalls, handicrafts and the old streets here together build a unique style of Gyantse Jiarijiao old street. 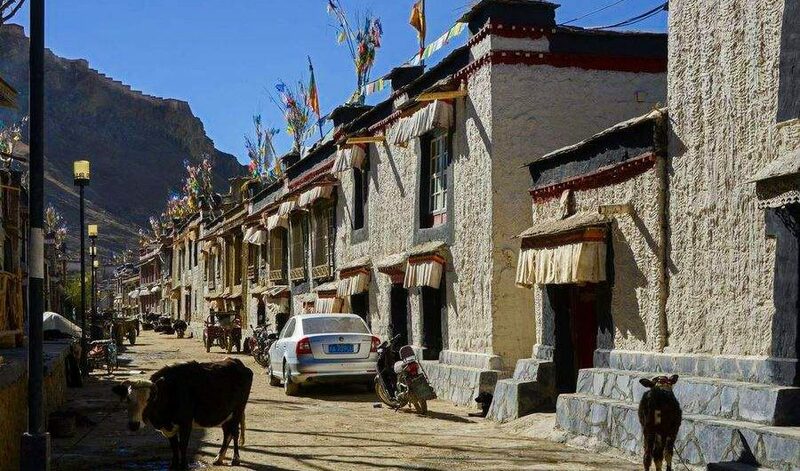 Wandering around the old street, you can experience the typical local Tibetan’s daily life. View more Tibet tourists attractions here. And if you want some Tibet travel tips, you can also find answer in our Tibet Travel Blog. We’ll update the latest travel news and tips every working day.